Immerse your group in serenity! Our new, captivating room bundle will fully immerse your group in the sea-based theme, from the swimming fish in the bubble tubes to the fiber optic jellyfish, this is sure to be the most mesmerizing of sensory rooms. 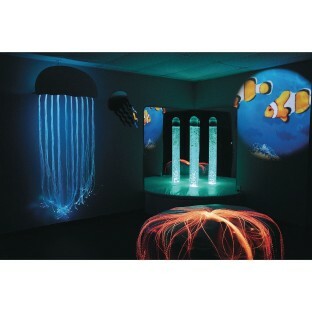 The sea-based theme provides endless opportunities to role-play, work on language development, or simply to lay back, relax, and de-escalate while listening to one of the included ocean CDs. 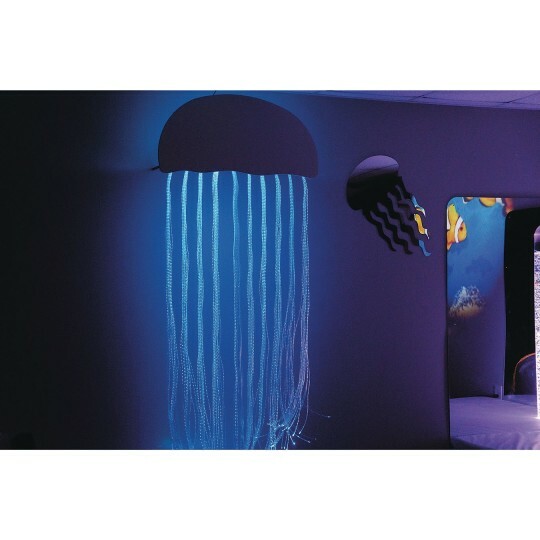 We’ve even included a beautiful jellyfish-shaped decorative mirror and sets of vinyl fish decals to complete the sensory room transformation. 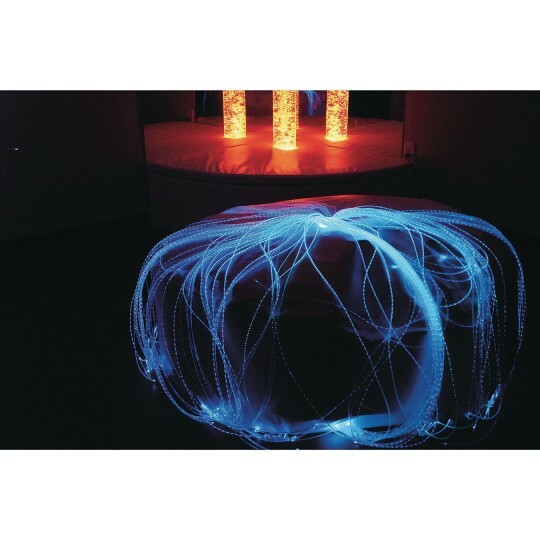 In this calming version, the Bubble Tube, Jellyfish, and Anemone (which is our fiber optic softie in disguise) slowly rotate through a rainbow of colors, creating a sense of serenity.